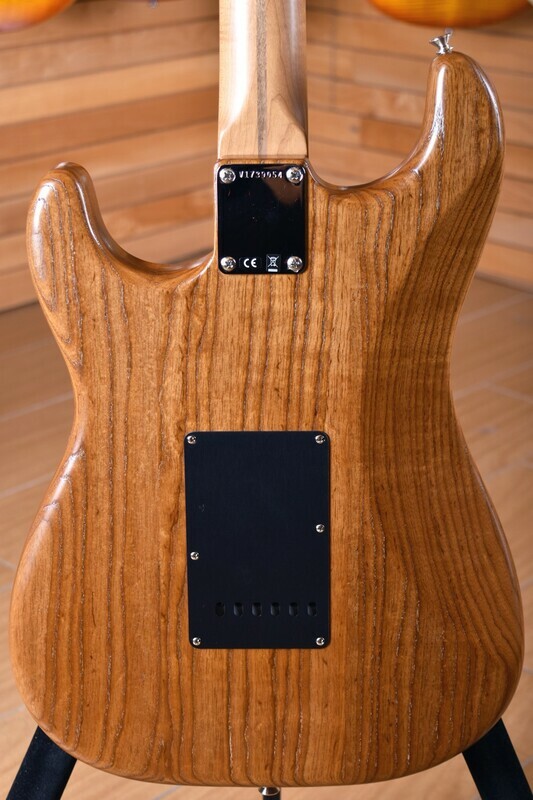 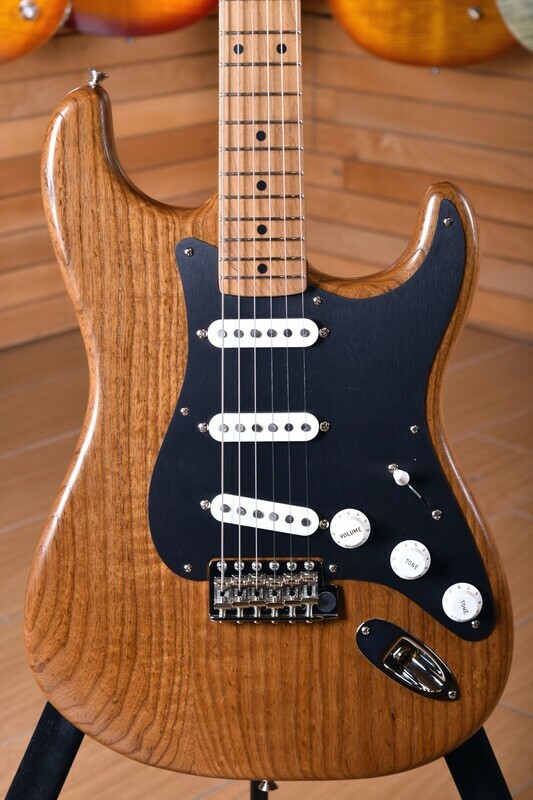 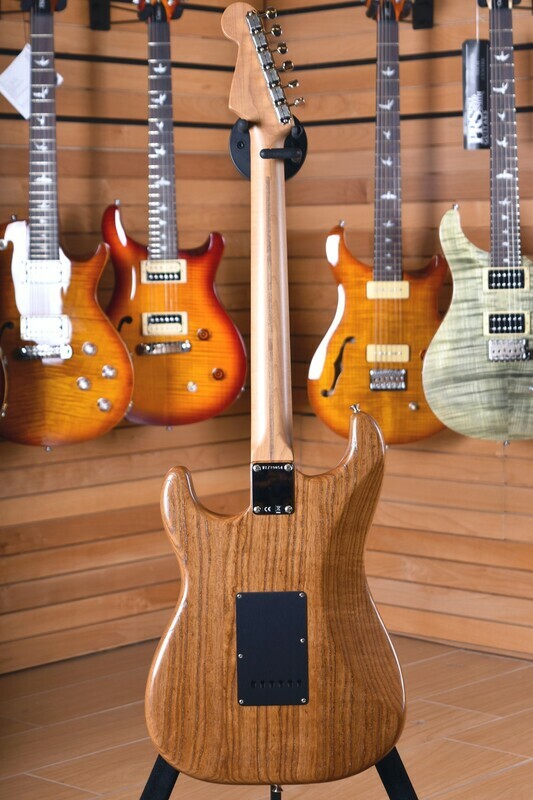 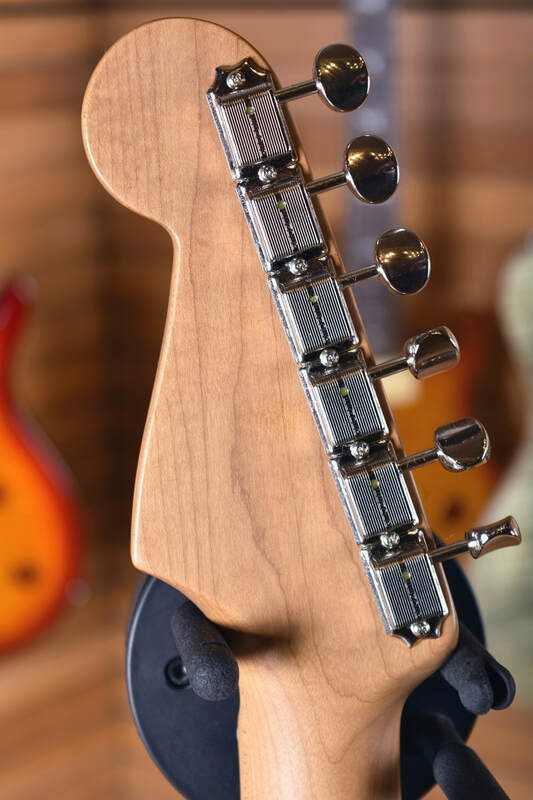 Neck Shape: Thick Soft "V"
Saddles: Vintage Style, "FENDER"/"PAT. PEND." 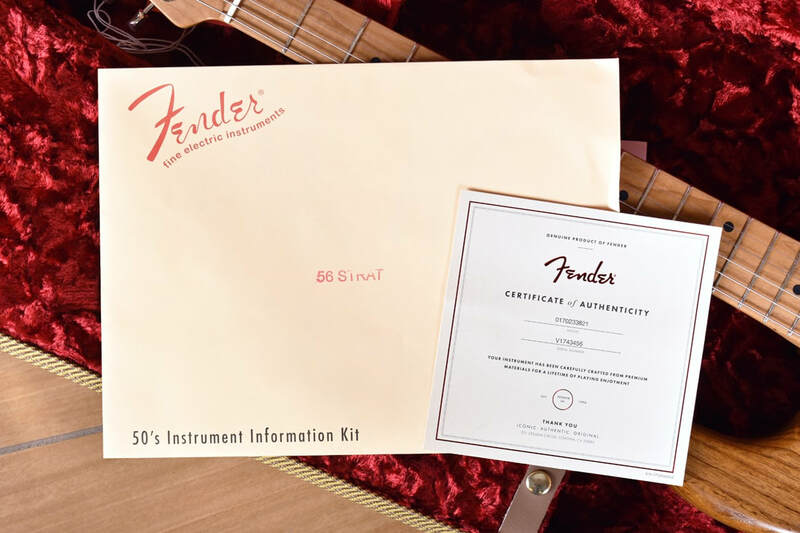 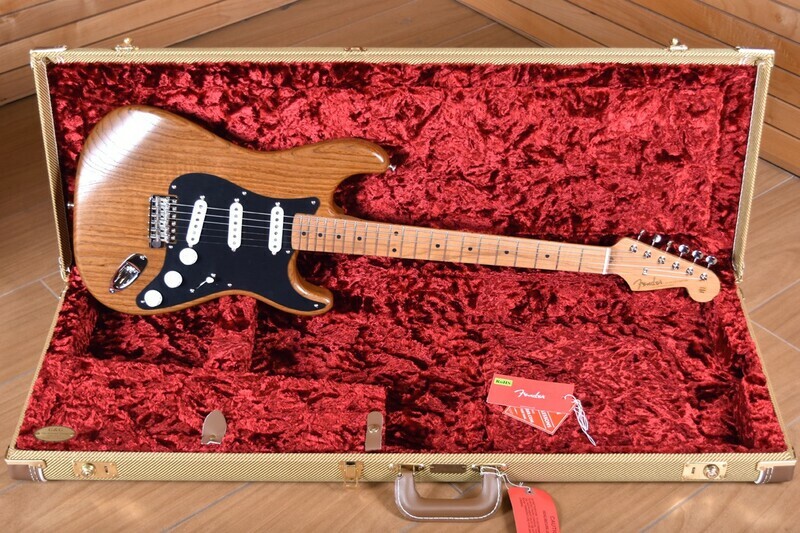 The American Vintage ’56 Stratocaster guitar takes you back to mid-1956, when the model was still new and a brand-new musical phenomenon called rock ‘n’ roll was making its first raucous waves. 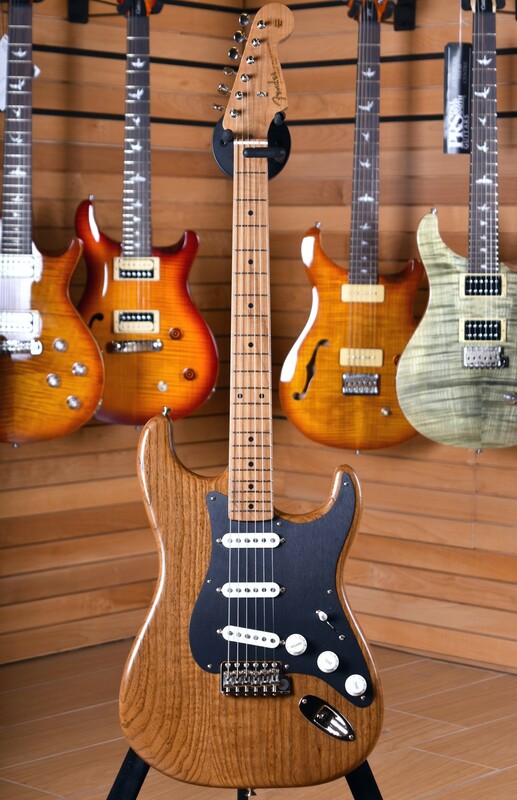 Built with original tooling and based directly on real-deal 1956 models we tracked down, this U.S.-made guitar returns you to that electrifying era when the Strat was just beginning to stake its claim, with pure tonal magic, style and feel. 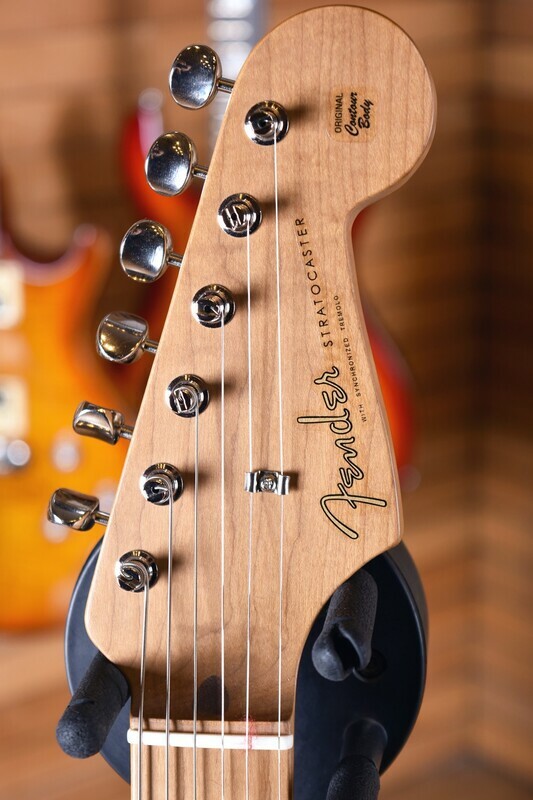 Now available in this Limited Edition Roasted Ash finish, the American Vintage Stratoacaster takes on a distinctive look and feel. 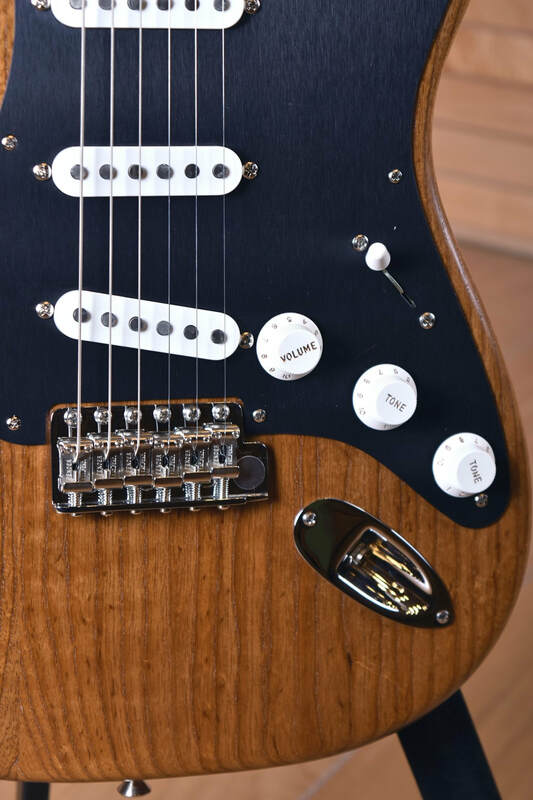 The thin, natural finish allows the guitar to resonate and unleash even more of that rock ‘n’ roll Strat tone.